It’s been a transfer window full of surprises, and Arsenal could be set to carry on this trend. 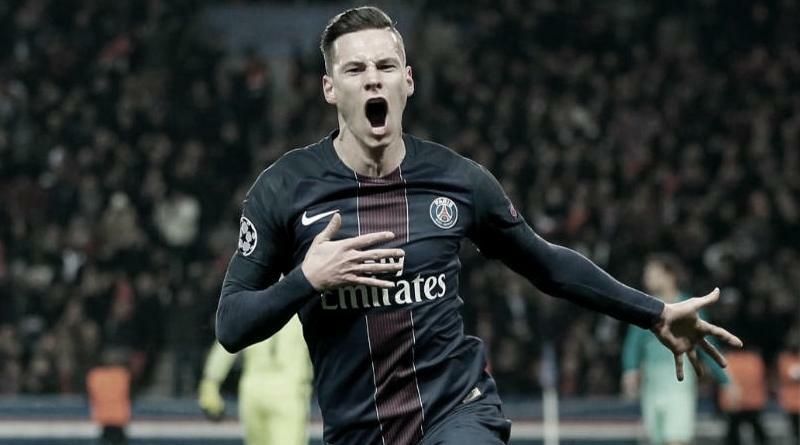 According to the football transfer rumours in British Media (Metro), Arsenal are considering bid for Paris Saint-Germain left winger Julian Draxler. The Germany international has joined Paris Saint-Germain from VfL Wolfsburg for a fee in the region of 40 million euros in January 2017. The 23-year-old has a valid contract with Paris Saint-Germain until June 2021. Since his arrival from VfL Wolfsburg, Julian Draxler has scored 10 goals and provided 3 assists in 25 games for Paris Saint-Germain in 11 games in all competitions last season. The Germany international has been in fantastic form for Paris Saint-Germain last season. Julian Draxler has represented Germany at Under-18, Under-19 and Under-21 level, winning 11 caps and scoring 3 goals, before making his senior international debut in May 2012. As a member of Germany national football team, Draxler has won 35 caps and has scored 5 goals. The 23-year-old is one of the more likely players to be offloaded by Paris Saint-Germain this summer and the list of suitors in the Germany international continues to grow. Arsène Wenger is keen to secure at least one more signing this summer, and Julian Draxler could very well be a man under consideration. The Germany international is thought to perfectly fit the profile of attacking player Arsène Wenger wants to target in the summer transfer window. Arsène Wenger is a long term admirer of Julian Draxler and believes he can get the most out of the Germany international. Arsenal are in the market for just a handful of statement signings this summer who can improve the first-team. According to the report in British Media, Arsenal could make a bid for Julian Draxler after PSG told the winger he is free to leave. The 23-year-old could be available for around 38 million euros. Julian Draxler would reportedly be interested in a move this summer, but if Arsenal do want him, they will have to beat those other interested clubs to his signature.